Times like these, I'm just honored to have such beautiful designs grace the pages of my blog. I think obsessed would be putting it lightly. So pretty! Love that tea towel and matchstick box. Wow, yes to all of this! Beautiful pics indeed! 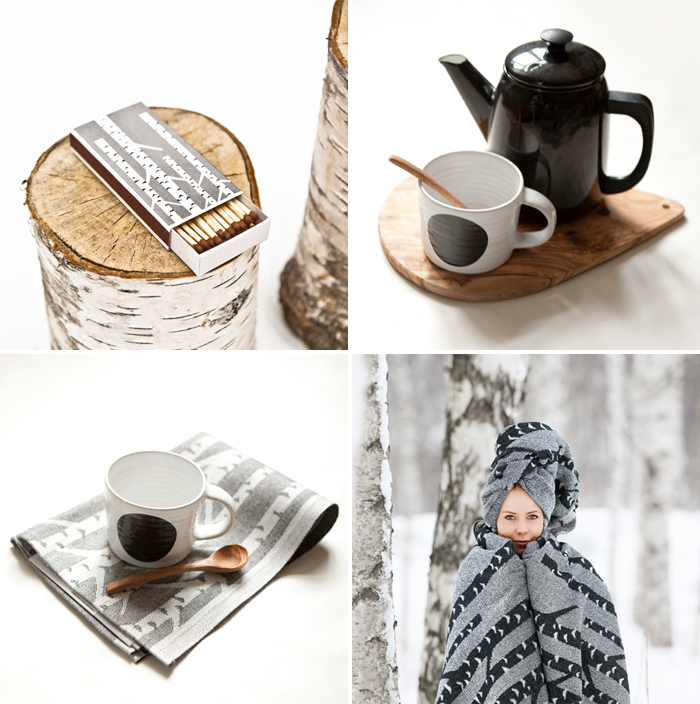 Love the birch inspirations! mmm, so lovely and cozy! i feel warm inside just looking at these gorgeous pics. I love how YOU inspire me. This is how I want my whole house to be! Ooooh I love everything here!! I especially love that mug and the box of matches is so cute - we're always lighting candles in our apartment and I love having cute storage containers for matches so I can leave the matches out without things looking cluttered. Birch trees have always been my favorite, so I'm smitten.